Where is San Jose, CA? 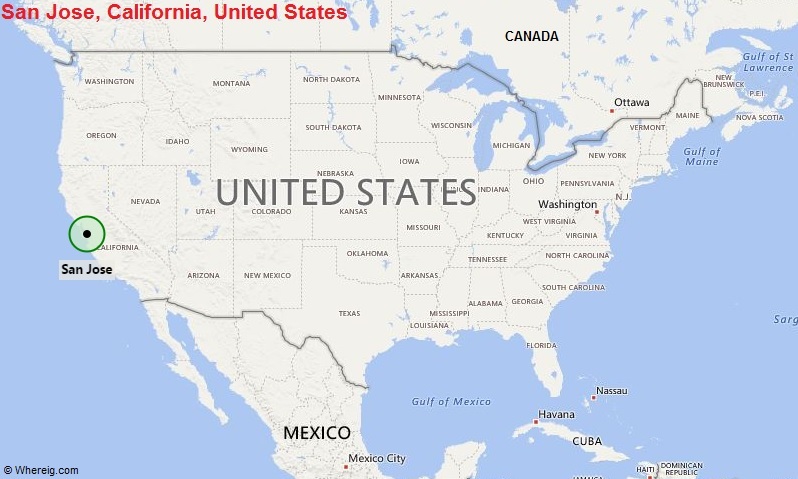 About Map: Map showing the Location of San Jose, California in the US. San Jose is located in the central part of the state. It is the third-largest city in the state of California, and the tenth-largest in the U.S.
10 Nearby Cities Fremont, Oakland, San Francisco, Modesto. 12 Nearest airport Phoenix Sky Harbor International Airport (about 7 miles), Phoenix-Mesa Gateway Airport (35miles).